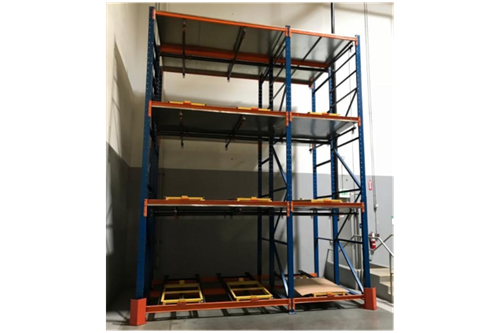 Base Plate Dimensions 6" x 8"
Pushback racking is a pallet storage solution which allows pallets to be stored on both sides of an aisle, offering higher density storage compared to other racking systems. 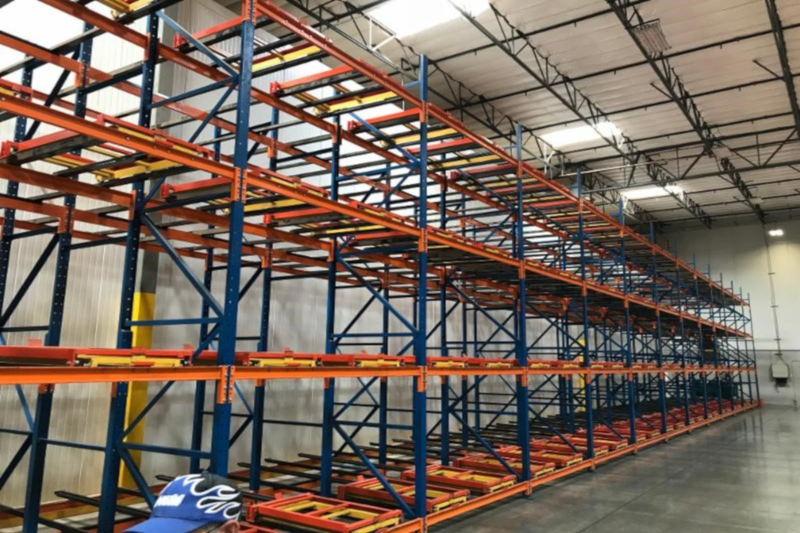 When the first pallet is loaded from the front, it sits on the first cart. 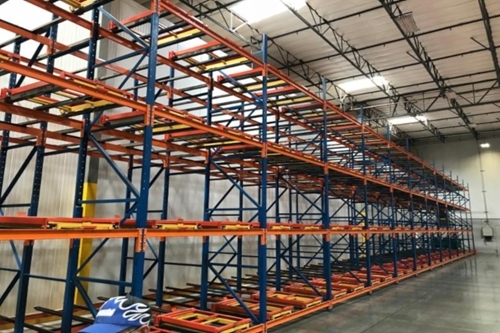 When the second pallet is loaded, it pushes the first pallet behind it back one position. 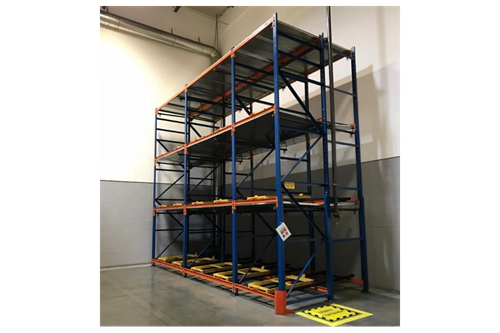 Advance’s Lo-Pro rack system is recognized as the “gold standard” for low stack height, ease of installation, ease of operation, quality and durability. Push back rack improves existing warehouse storage density up to 25% by eliminating aisles required in a selective rack environment. In addition, the Lo-Pro Pushback stores multiple SKU’s and the front loading/unloading capabilities reduce labor costs when compared to double deep and drive-in rack systems.